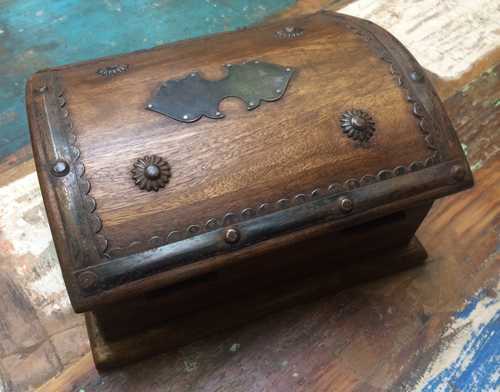 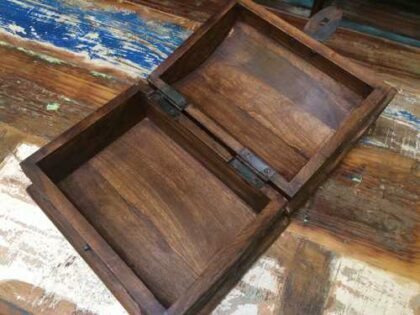 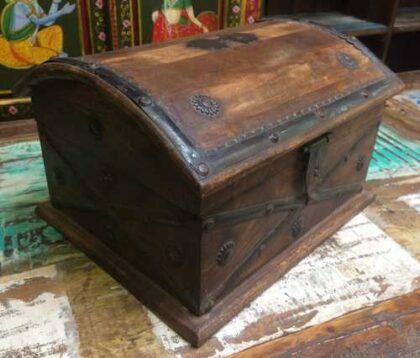 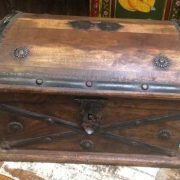 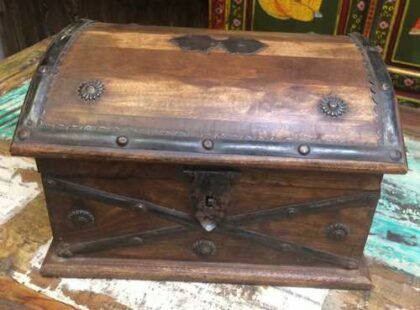 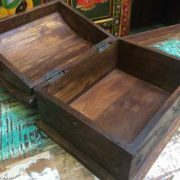 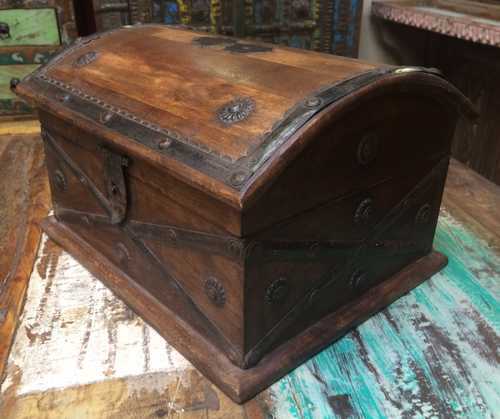 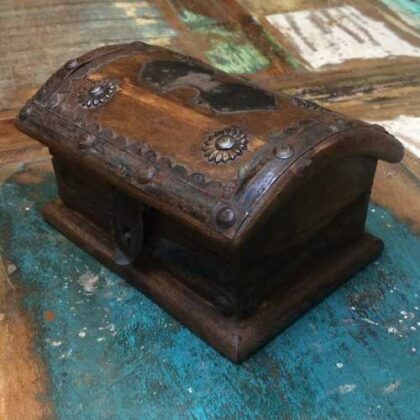 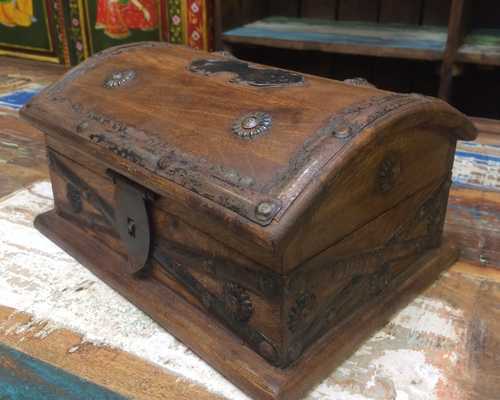 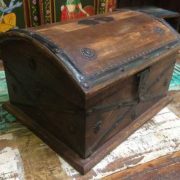 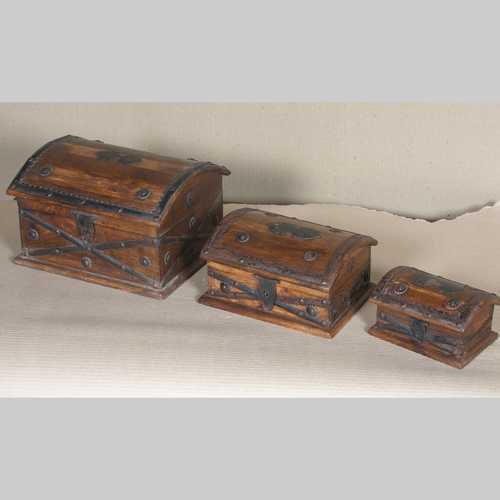 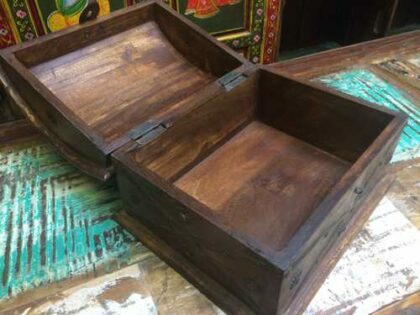 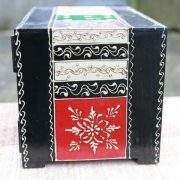 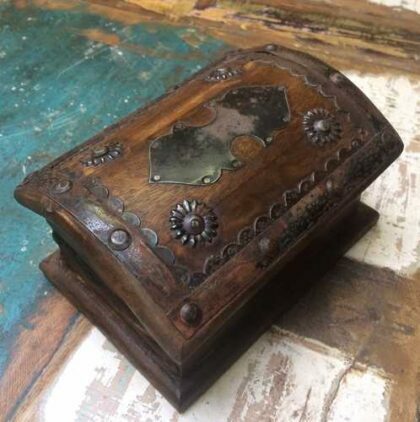 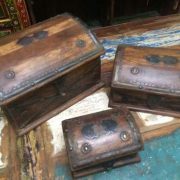 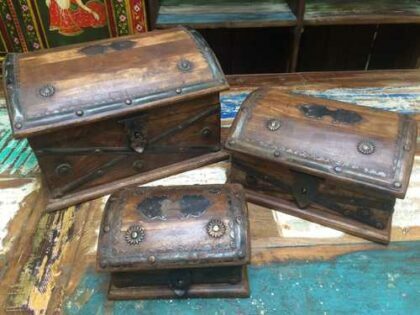 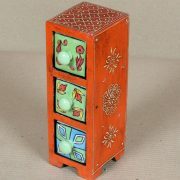 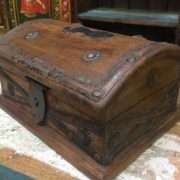 Wooden box with curved top and decorative metal work. 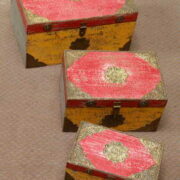 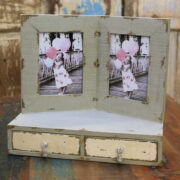 Available in 3 sizes or as a set. 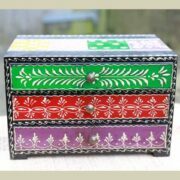 Made from sheesham (Indian Rosewood), this medium sized wooden box really celebrates the wood’s natural grain as the piece has a clear finish. 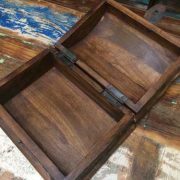 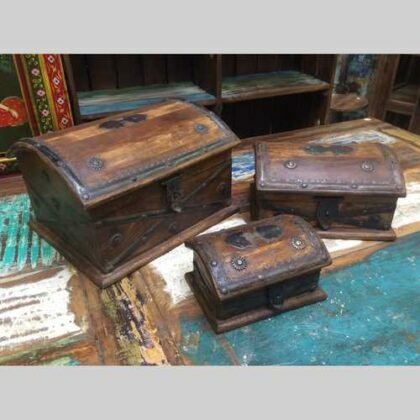 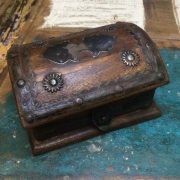 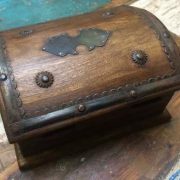 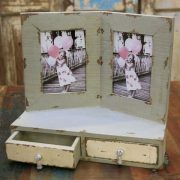 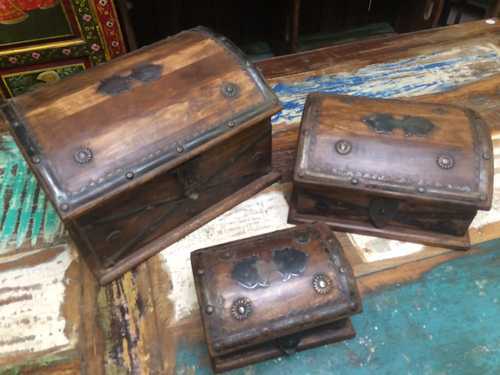 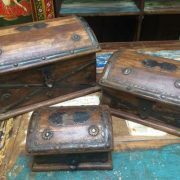 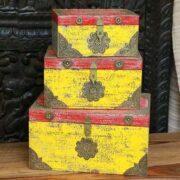 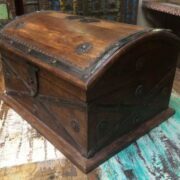 The box has a lovely curved lid and is decorated all over with metal work, adding strength and character to a piece full of rustic charm. 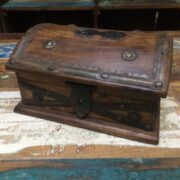 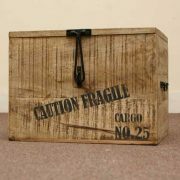 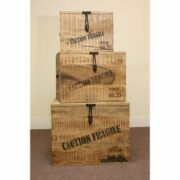 Perfect for storing everyday items or more precious possessions, this box also has a small lockable clasp.